A 75-year-old man died during a brawl with a group of people over his son allegedly touching an 8-year-old girl inappropriately in Maharashtra's Thane area, police said. THANE: A 75-year-old man died during a brawl with a group of people over his son allegedly touching an 8-year-old girl inappropriately in Maharashtra's Thane area, police said. Police said that Yunus Ali Sayyed yesterday fell from the third floor of a building after being pushed onto a parapet wall, which came crashing down, police said. He sustained grievous injuries and died while undergoing treatment at a local hospital, an official said. According to the police, Abdul Khalid, the victim's son, had allegedly touched the 8-year-old niece of one of the people in the mob inappropriately. This enraged the minor's uncles, Nisar Anwar Shaikh (24) and Vasim Anwar Shaikh (22), who along with a group of friends, barged into Sayyed's house, the official said. 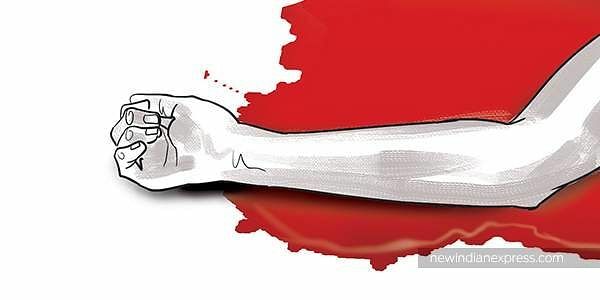 "The mob hit the family members with rods and sticks and Sayyed, while trying to fend off the attack as well as protect his kin, was pushed onto the parapet wall which broke," the official added. He said that the minor girl's uncles, Nisar and Vasim, had been arrested and efforts were on to nab other people who were part of the group that assaulted Sayyed and his kin. He said that a case of murder had been registered with Mumbra police station and further investigations were underway.